Sally’s Cleaning Service can assist with all your vacuum needs. Sally’s Cleaning Service is a proud distributor of Cleanstar vacuum cleaners, vacuum bags, parts and accessories. Cleanstar are one of Australia’s leading wholesalers of commercial and domestic vacuum cleaners, vacuum bags, filters, spare parts and accessories. We pride ourselves on offering the most comprehensive product range in Australia. 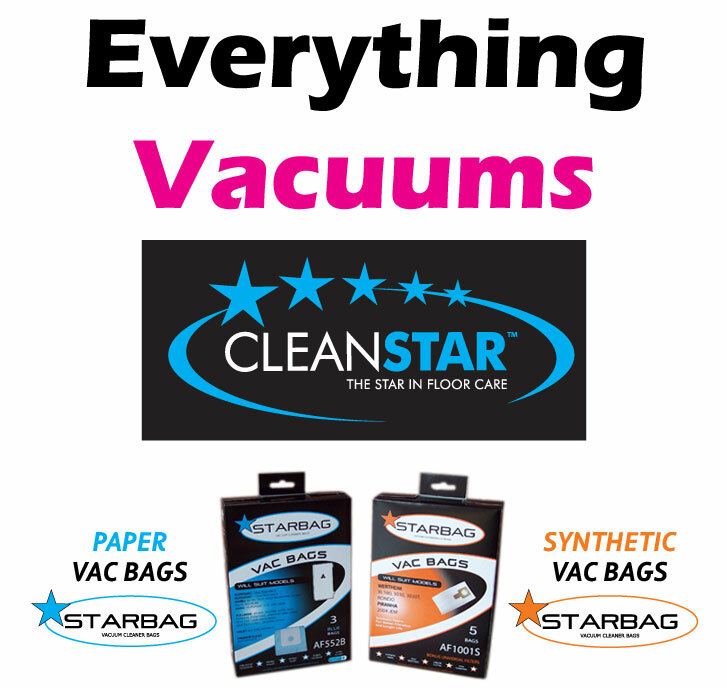 Cleanstar offer over 300 different types of vacuum cleaner bags both reusable and replacement versions which are suitable for thousands of different models. Sally’s Cleaning Service also sell a range of new vacuums, back packs, wet and dry, for commercial and domestic usage. Visit our showroom or contact us for further information via email or phone.